Listen to, or download an mp3 of, the interview here (begins c. 33:20): Up Front, October 6, 2015, 07:00 PST, 94.1 FM, KPFA, Berkeley, California. Richard Dawkins: “Yes. It might well. I mean it could well be that scientists of the future will look back on this time, the time in which we are living as a kind of great sea change in the course of evolution. And intelligent design may actually come into its own. But it would be human intelligent design. Or it would be design by human-designed robots. Richard Dawkins: “Yes. And I’ve done a fair bit of television, as well, which is described in Brief Candle in the Dark. Brief Candle in the Dark is arranged, not chronologically, but thematically. And, so, there’s a chapter on television, a chapter on my past books and things. Richard Dawkins: (c. 51:16) “My own field of evolutionary biology can be said to be in the front line. You raised the point earlier, which it’s a bit puzzling, why that is the case. But it is the case. Physics has a bit of trouble about the Big Bang, not sure why because you’d think that would be rather friendly to the idea of genesis. But they don’t seem to like it. UP FRONT—Richard Dawkins discusses his life in science and the public eye, from the debates within evolution, to the all-out war between his field and fundamentalist religion. But first: after years of secret trade negotiations, representatives from 12 countries announce they’ve reached a deal on the Trans Pacific Partnership. We’ll take a look at what’s in it, and what’s next. 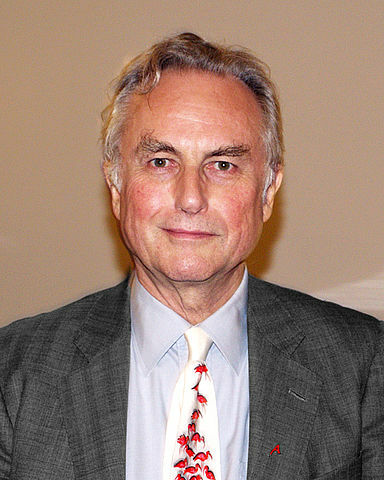 Richard Dawkins, fellow of the Royal Society, and author of many many books, about evolution, behavior, and the clash between science and theology. His latest is about his own life – it’s entitled Brief Candle in the Dark: my Life in Science. Tickets to his KPFA benefit are available here. Learn more at UP FRONT. Brian Edwards-Tiekert is the host and founder of Up Front, KPFA radio (Berkeley, CA) and the Pacifica radio network throughout the nation.